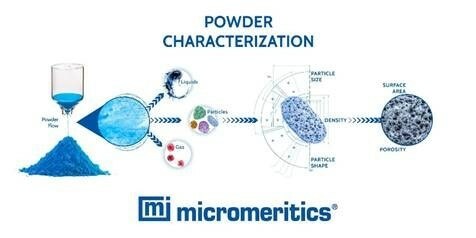 Micromeritics Instrument Corporation today announced the release of ‘The Definitive Guide to Powder Characterization’ a new whitepaper that showcases the analytical techniques available to optimally support the development and manufacture of commercially successful powder products. Byrne added, the analytical toolkit for those looking to efficiently manufacture powder products to rigorously controlled standards, therefore, extends from particle characterization to bulk powder testing. This paper covers techniques for analyzing particle structure, including surface area and porosity, for quantifying particle properties such as density, size and shape, and for the measurement of powder properties – flowability, compressibility, permeability and density. It also includes examples demonstrating how the techniques are applied together in specific applications - in the development of high-performance metal powders for additive manufacturing and robust formulations for oral solid dosage.